It pays to have a dedicated credit card available for tires, automotive maintenance, and unexpected repair services. 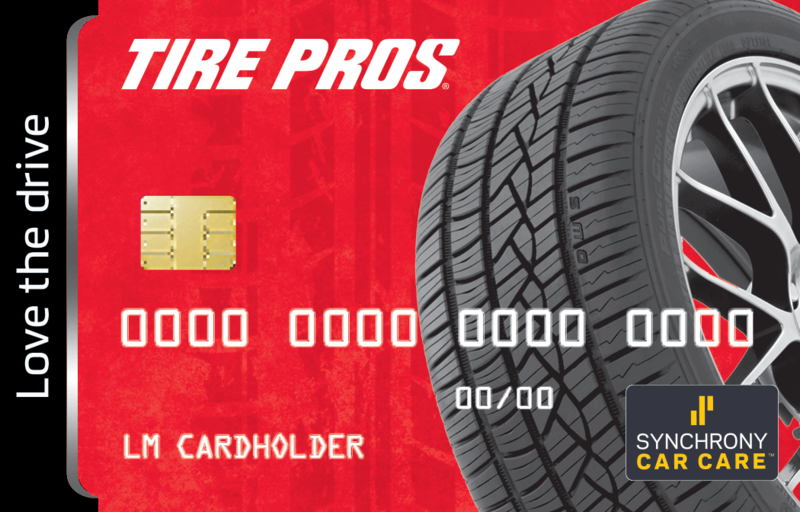 Use your Goodyear credit card at Chatsworth Tire Pros & Service Center and Goodyear locations across the country. We are pleased to accept the Goodyear Credit Card. If you’re in Chatsworth, CA, or a surrounding area and looking for a fast and convenient way to make your automotive service and tire purchases, apply today. It's the perfect solution for unexpected repairs or services. Reduce your stress, repair your vehicle, and continue driving safely with your card. At Chatsworth Tire Pros & Service Center, we always want to take care of your tire and service needs. Progressive provides a lease to own option that makes getting what you need affordable. Fill out an application at Chatsworth Tire Pros & Service Center to get started. There's no credit needed, and repayment is easy with automatic deductions of smaller increments over time. Apply in store with us for access to the application.